Silya Muischneek, born in Switzerland in 1964, joined the cult of a seemingly 'respectable' Indian guru - Sri Chinmoy - in 1981, when she was only 16 years old. Driven by the noblest of spiritual values and ideals she devoted the next 17 years of her life to his 'mission'. Doing so meant obeying the strict rules and demands of Chinmoy, for whom the obliteration of individuality was the most important spiritual discipline and every sign of individuality a form of disobedience that needed to be punished. When she left the cult in 1998, Silya was a broken woman whose sense of self and contact with life had been deeply damaged - leaving her physically, emotionally and spiritually sick. For ten years she found herself in deep pain and with no help or useful advice, medical or spiritual. 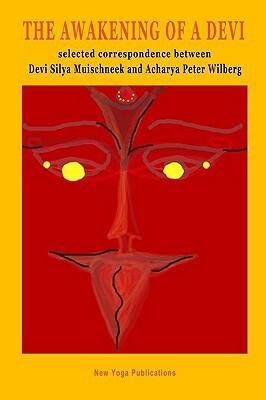 Then, early in 2009, she came across the website and writings of a little-known European thinker, teacher and yogin - Acharya Peter Wilberg - finding that they not only gave deep insight into her still-present pains and spiritual questions, but also addressed these questions from a very different perspective than any other teacher. So instead of rejecting all further association with 'spiritual' teachers or 'gurus' she entered into correspondence with him. Now Silya Muischneek invites the reader to share, through this book of her correspondence with Acharya, the Golden Key she found through his teachings - 'The New Yoga of Awareness'. For these are teachings in which sacred Individuality and unity with the Divine are not seen as opposites in any way. They allowed her - after many difficult years of painful confusion and suffering - to once again breathe free and express her own freely individualising life in an all-new way, thus coming to a new and true awakening of Self and Awareness - 'The Awakening of a Devi'.